The Tampa Bay Rays announced they are making a huge change at Tropicana Field. At the close of last year, the Rays announced they were closing the 3rd tier. They also stated they were going to make more social spots inside the Trop. The latest announcement is they will be the first major league venue to go cashless. Which means they will no longer accept cash. The Rays will be accepting debit cards, credit cards, Rays gift cards, Rays season ticket holder cards, Apple and Samsung pay. Here are the reasons why it could be a good thing and a terrible thing. It looks like they are trying to improve the experience at Tropicana Field. Many don’t know that this was once the home to the Tampa Bay Lightning before they relocated back to Tampa. By no longer taking cash it will get the fans back to their seats faster. This will result in them enjoying more of the game instead of being stuck at concession or merchandise stands. The employees will also not have to worry about giving the wrong change or having their cash drawers short. The Rays were the first to start the bullpen day maybe this will also be adopted throughout the sports world. Now we all know the dangers of carrying cash on us. It is easy for it to be taken from us. The world is going digital everything. Which means now instead of criminals stealing cash from us they steal our credit, debit card numbers. Many of the top retail companies have been hacked. During those hacks, personal information was leaked. Tropicana Field will be taking every precaution they can to prevent that from occurring. Another issue will be when cards don’t go through like credit and debit cards. This will make the process longer which means a fan will miss the game. The Rays already have attendance issues, and this might make it worse. 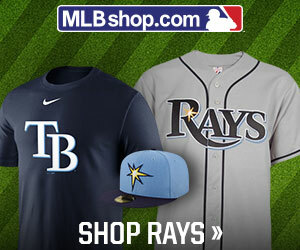 The Tampa Bay Rays are doing everything they can to draw fans to Tropicana Field. They were unable to get a stadium deal done in Tampa. The fan base wants to be excited about the Rays. Their team won 90 games in 2018 and the attendance was still low. Going cashless will help get the fans back to action quicker. The biggest issue with them going cashless is, of course, the leaking of fans personal information. We as fans will have to wait and see what happens on opening day. What are opinions on Tropicana Field going cashless? Leave a comment below. For all your MLB news log on to IroniqMedia.